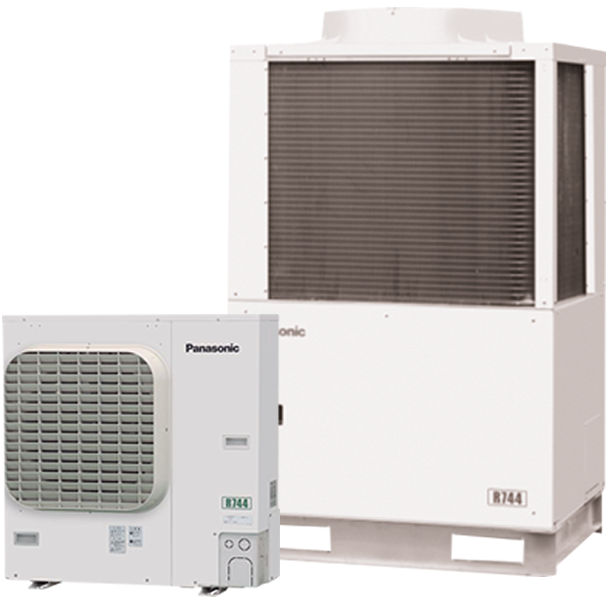 PANASONIC HAS NOW INTRODUCED NEW ENVIRONMENTALLY FRIENDLY CO2 CONDENSING UNITS FOR COMMERCIAL REFRIGERATION. 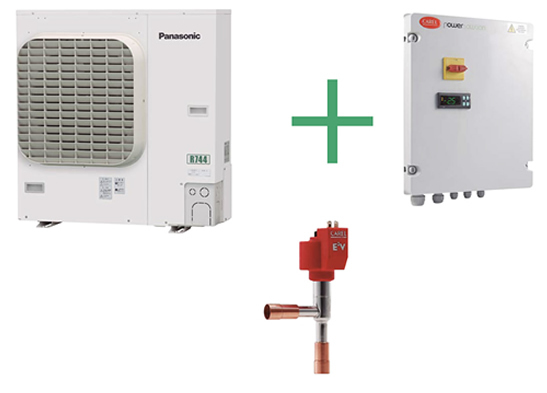 Green Thermal Energy (GTE) provides the complete range of Panasonic refrigeration systems as a authorised UK distributor delivering a complete service which includes system design, equipment selection and commissioning support. The GTE – Panasonic partner programme provides the specifier or contractor with all the tools needed to apply CO2 refrigeration systems within the commercial market place. What is a CO2 Compressor? Energy savings and the environment have been the focus when developing these units. Meet upcoming HFC reduction targets by choosing the Panasonic solution. Launched in Japan in 2010 these well proven and reliable units are now available in the UK. This range of units, when considered in comparison to transcritical CO2 packs, is able to provide a practical and cost effective alternative, delivering an efficient standard solution. Panasonic’s transcritical condensing unit is the natural choice. Choose the practical and reliable solution with Panasonic. The 5 Year compressor warranty matches the products long lifetime. With Panasonic you also save money on servicing. Panasonic offers a complete modular solution. Ease of installation and reliability are the key to success. In the supermarket sector a very high standard of equipment is required to deliver reliable performance. The Panasonic range achieves this with a focus on efficiency, low noise and reliability. This highly efficient form of CO2 refrigeration technology is able to deliver both cost and carbon savings. *Monitored within a 5°C to 27°C ambient 12 month operating period. Compared to R404A. Ready to install and commission, this standard range is manufactured to a high specification. The panel contains a pre-programmed super intelligent controller specially designed for cold storage rooms and display cases. Everything is delivered in one package for ease of installation. Commissioning the installation only requires setting the right suction pressure of the condensing units and room temperature. The combination of a factory produced high quality unit and precise regulation of the 480 step modulating expansion valve means that a very stable and energy efficient system is delivered. Stable super heat and pressures all year round are key to maximising the success of the energy efficient system and reducing the cost of energy bills. Compatible with European standard supervision systems. Please contact Green Thermal Energy Technical Support for further details. Same unit but both for medium and low temperature. Panasonic has developed CO2 transcritical condensing units with low energy consumption and low carbon footprint. Programming the unit during commissioning only requires setting one parameter. Users can choose between four settings and the unit is ready to run. Standard settings can easily be modified by turning the user friendly rotary switch. Refrigeration systems operating within the food retail sector must be both reliable and efficient in operation. This range has been developed to provide reliability with peace of mind provided by a 5 year compressor warranty, alongside this specifiers can be assured that the CO2 range is well proven demonstrated by a ten year track record operating within critical applications. These Panasonic units have been developed specifically for retail and food service applications where delivering reliability and efficiency are the most important factors. Hence by combining reliability and efficiency, with a natural refrigerant CO2 system, this range removes any risk of future costs associated with refrigerant phase out whilst minimising operating costs. *Monitoring information from installed Panasonic CO2 condensers in the Kyushu and Kansai regions of Japan (minimum 5°C and maximum 27°C ambient temperatures throughout a 12 month period).